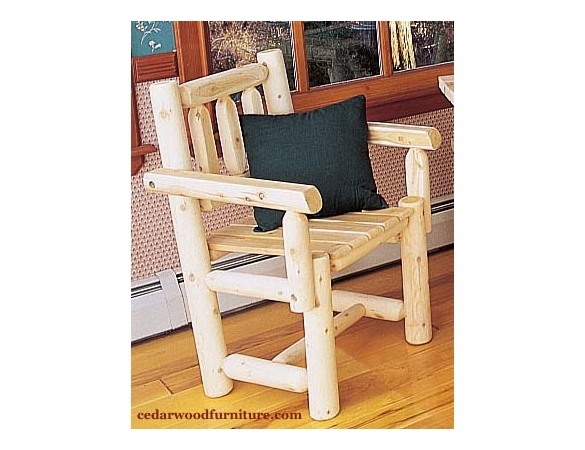 Set a course for style and comfort outside or inside your home with the Cedar Wood Log-Style Captain's Chair from Cedarwood Furniture. Carefully crafted from weather-resistant Northern white cedar, this chair is shipped 90 percent pre-assembled and is a cinch to set up. Optional seat cushions are available in five attractive colors. 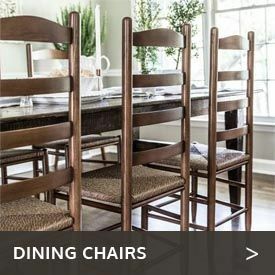 Match these chairs with cedar tables like our Cedar Wood Log-Style Square Table or use them as log accent chairs to lend an air of rustic simplicity to your decor.  Northern White Cedar Wood Logs.  Peeled smooth natural finish.  Mortise & tenon joinery.  Rust Resistant Coated Hardware.  Easy instructions for minor assembly. 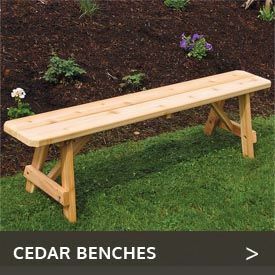 It's normal for all cedar log furniture to endure the natural process of checking as the wood "seasons". Checking occurs as a wooden log releases moisture across or through the annual growth rings. 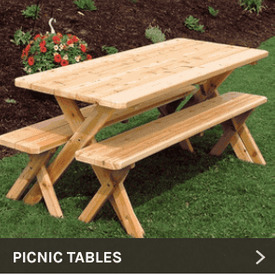 It does not affect the structural performance or integrity of the wood. All logs which contain the heart of the tree will develop lengthwise cracks or checks. The check never goes deeper than the heart.